Why did this happen when there was a guard? 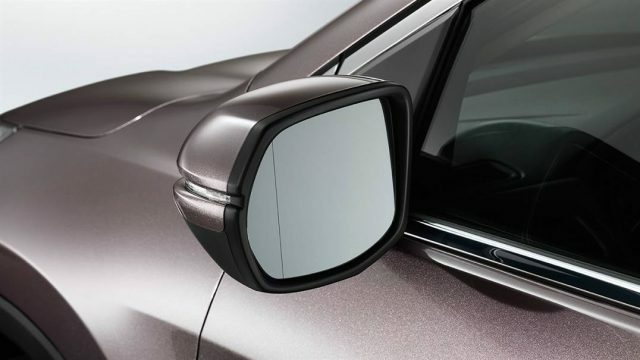 Maybe because side mirrors of civic are expensive and the guard was involved or not attentive enough. Where did the valet guy suddenly disappear? Who wants to be blamed for the loss when such an incident happens. It is human instinct to vacate the area in case of such an event occurs. Why are there no CCTV cameras in valet parking? Who is going to investigate when there is no CCTV footage to be reviewed. The most common preference is to make money not providing convenience to the customers. Who is responsible? The restaurant or the valet service provider? Or, according to them, YOU! 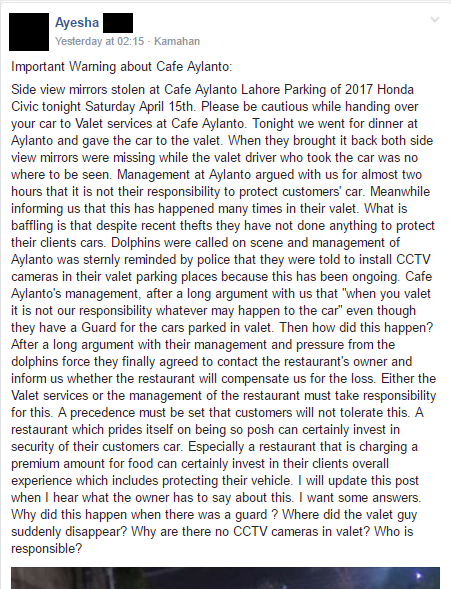 Yes, you read it right, the management will be quick to point out that the safety of your belongings is not their responsibility so why did you bring a brand new Honda Civic to their restaurant? 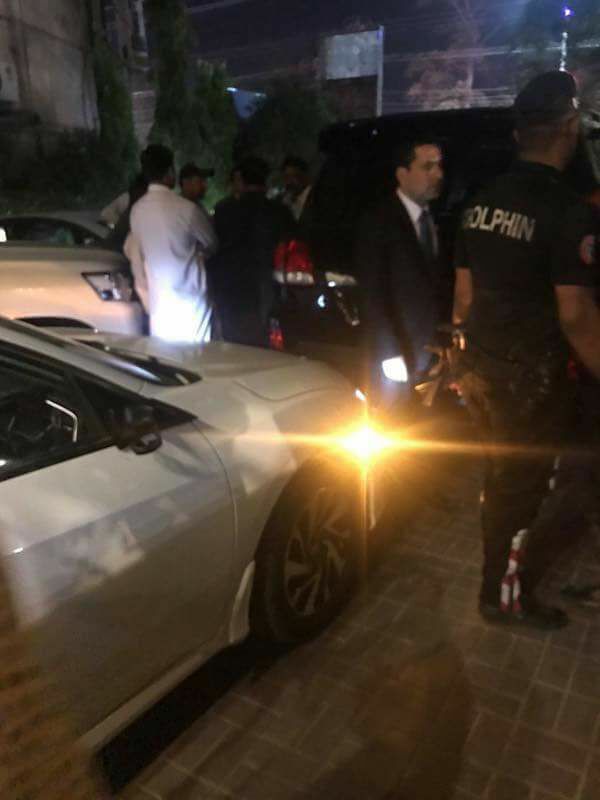 You should have come in a 1990 Suzuki Mehran. Café Aylanto is one of the finest cafés in Lahore. And they charge exorbitant rates for their food. If they provide Valet services, I think it is their responsibility for the safety of the customer’s car. Is valet service just for parking a car somewhere with no concern afterward? 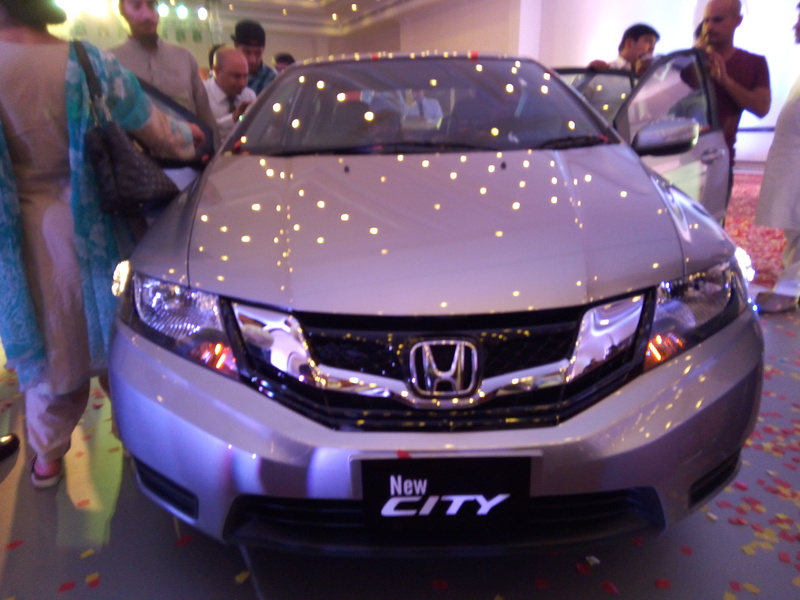 The side mirrors for the civic will not cost less than PKR 50,000. What is the purpose of a guard if still thieves can operate easily? Why weren’t CCTV cameras installed in parking spaces when similar incidences were reported in the past? In my opinion, the restaurant must be made to compensate for the loss of the mirrors. Otherwise, the same story will keep on repeating itself. Or another idea folks is to invest in some steel cage for your side mirrors when going out for dining.